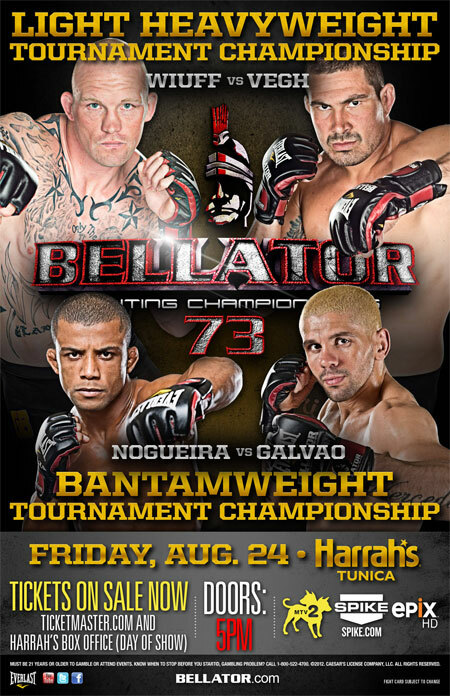 After enjoying an extended hiatus, Bellator Fighting Championships came storming back Friday with “Bellator 73.″ The event took place inside Harrah’s in Tunica Resorts, Mississippi. Friday’s show features the Heavyweight Tournament finals between Attila Vegh and Travis Wiuff into the event’s top spot. The Bantamweight Tournament finale with Marcos Galvao and Luis Nogueira serves as the night’s co-main attraction.